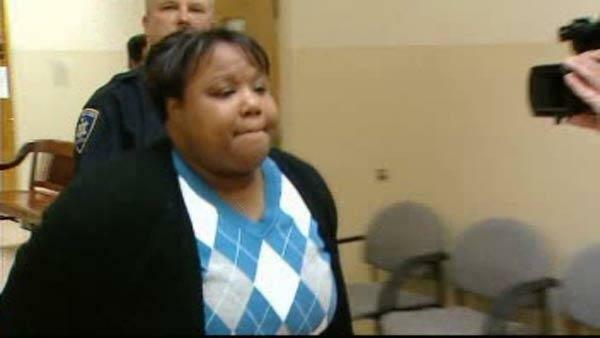 PLAINVIEW, N.Y. (WABC) -- The Long Island mother who killed her 8-year-old disabled daughter by feeding her candy with peanuts was sentenced to time in prison Friday. A Nassau County judge sentenced 34-year-old Veronica Cirella, of Plainview, to 12 years behind bars. She pleaded guilty in May to a manslaughter charge in connection with the death of her daughter, Julie, in 2011. Prosecutors said Cirella left what appeared to be a suicide note saying she was intending to kill her daughter, who suffered from cerebral palsy. She then gave Julie candy containing a peanut by-product knowing that she was allergic to peanuts. That same day, Julie was supposed to be the flower girl at her uncle's wedding, and the uncle found them both unconscious in their home. Paramedics declared Julie dead at the scene. Cirella had a wire tied around her neck. Cirella told investigators that she gave her daughter Benadryl and an EpiPen after she had an allergic reaction, but neither drug was found in Julie's system. An autopsy determined that Julie died of asphyxiation. But because pathologists could not determine how Julie was asphyxiated, Cirella was only charged with manslaughter. During Friday's hearing, Cirella admitted to performing an act with the intention to cause serious physical injury to her daughter and that that act caused the death of her daughter. "Julie Cirella's young life was cut tragically short by the one person who should have protected her," Acting Nassau County District Attorney Madeline Singas said. "While nothing can bring this young victim back, I commend our prosecutors and partners in law enforcement for bringing justice in this case. Our thoughts and prayers are with Julie and her loved ones."